Are your looking for HP 15-DF0023DX driver? Then these are HP Spectre x360 15-DF0023DX drivers for Windows 10 64 Bit you can easily download and install to get your convertible laptop optimized. 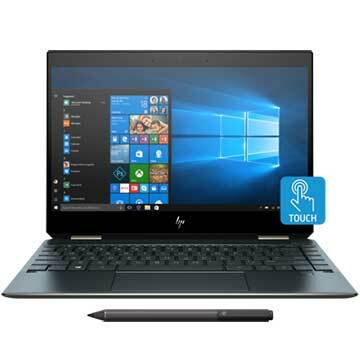 As described at HP USA official site, HP Spectre x360 15-DF0023DX is a 15.6 inch 4K IPS touch-screen laptop powered by 8th Generation 1.8 GHz Intel Core i7 8565U quad-core processor and discrete NVIDIA GeForce MX150 with dedicated 2 GB GDDR5 video memory. This HP 15-DF0023DX notebook PC comes with 16 GB DDR4-2400 SDRAM system memory and fast 512 GB PCIe NVMe M.2 SSD solid state drive to store your documents. This mobile computer features 15 inch 4K (3840 x 2160) IPS touchscreen display, Intel Wireless-AC 9560 802.11a/b/g/n/ac (2x2) Wi-Fi, Bluetooth 5 Combo, microSD media card reader slot, USB 3.1 Type C port, Thunderbolt 3 port, HDMI, Full HD web camera, four speakers with Bang & Olufsen and HP Audio Boost 2.0, and 6-cell 84 Wh Li-ion with up to to 16 hours of battery life.